The initial project was for a roof but the extra money would enable us to make a spectator area for parents and carers and a secure dedicated office space. Depending on the funds raised we would also look at getting solar panels sooner to reduce our over all running costs. 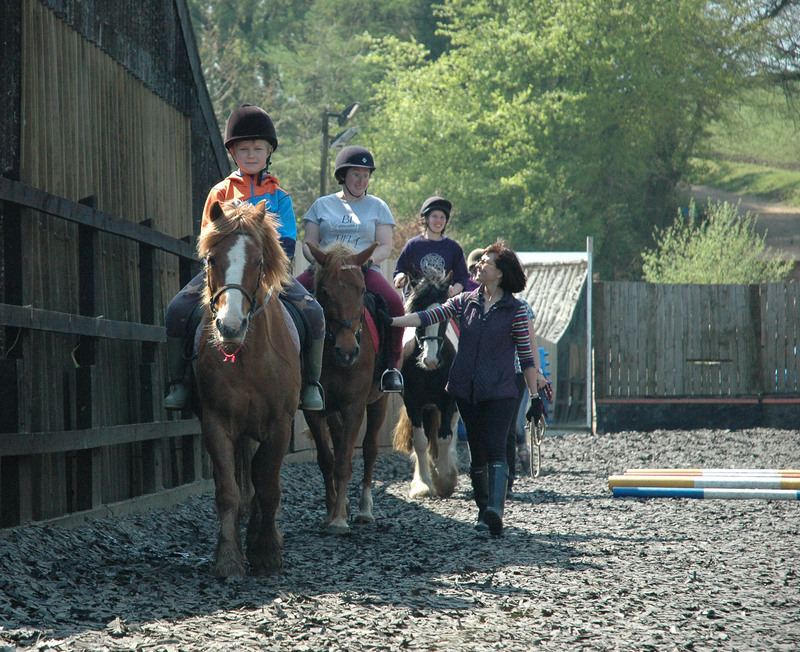 We are a group of enthusiastic, trained volunteers who really believe in the value of riding therapy for disabled adults and children. We see the improvements to their mobility with strengthened muscles and increased balance as the horse moves through its paces. The younger riders take part in games during their classes which boosts social skills by encouraging turn taking and verbal communication. We help them to learn how to treat animals with care and kindness through grooming. We encourage respect for others, the volunteers, their carers and fellow riders. Educational attainment is increased because the physical effort and calming effect of being on a horse improves the riders' concentration. The increased balance and core stability improves fine motor skills therefore using a pencil or tools become easier and smoother so basic life skills are less challenging. The sheer joy the riders get from their ride is immeasurable. They overcome their fears or difficulties and see themselves progress in a sport. This has an effect on their self belief and self worth, which in turn spills over to life beyond the stable, believing that challenges can be overcome. Buxton is 1000 ft above sea level, the winters are long and the summers are short but can be wet, cold and windy. 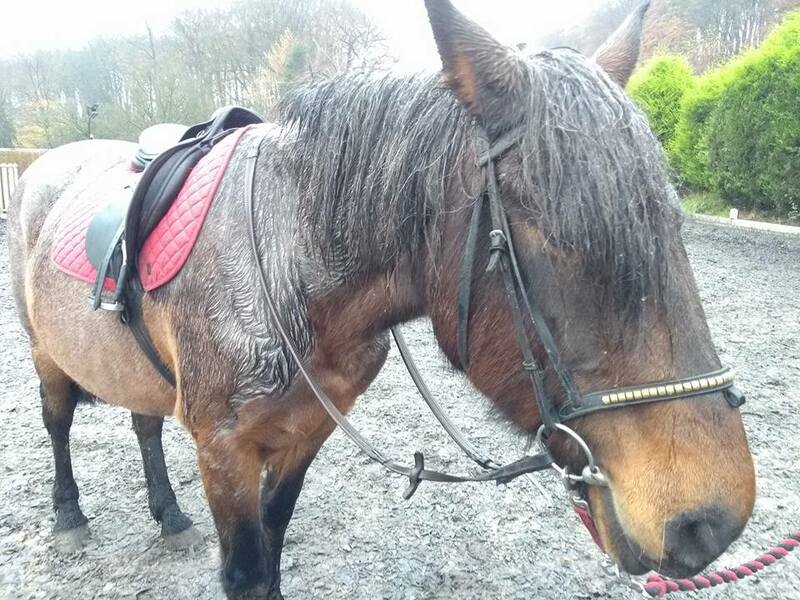 For the last 31 years we have held riding sessions in an open arena, even when it is raining, but the cold and wet has an adverse effect on the riders' mobility, mood, concentration and pleasure. We often have to cancel in the winter months due to snow and frozen ground. This disrupts the continuity of our therapy sessions, and increases the number of volunteers who decide it is not for them. A roof and walls to an arena would be the answer. Tilly very miserable in the rain, waiting for the riders. As we are building a dedicated space for this project it was decided to increase the size to 30 meters by 50 meters. 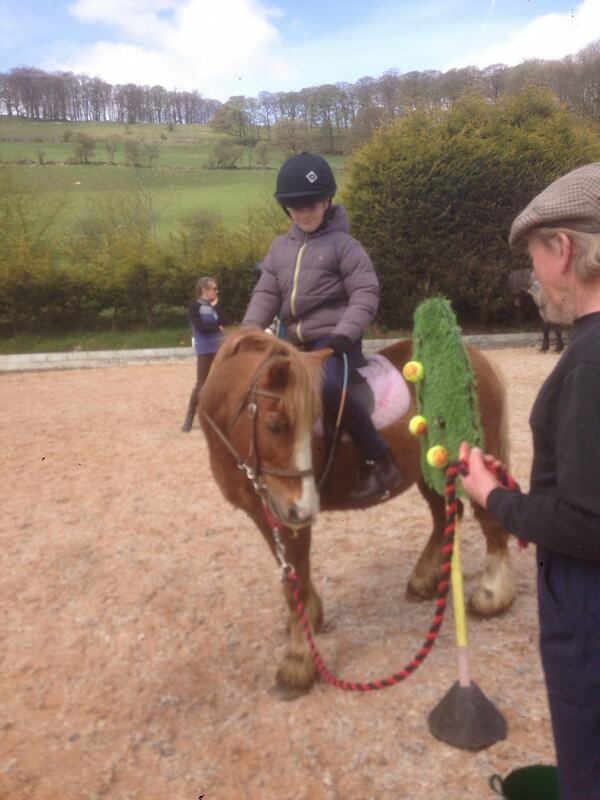 This allows us to expand the opportunities for the disabled members, as well as improve the riding sessions. 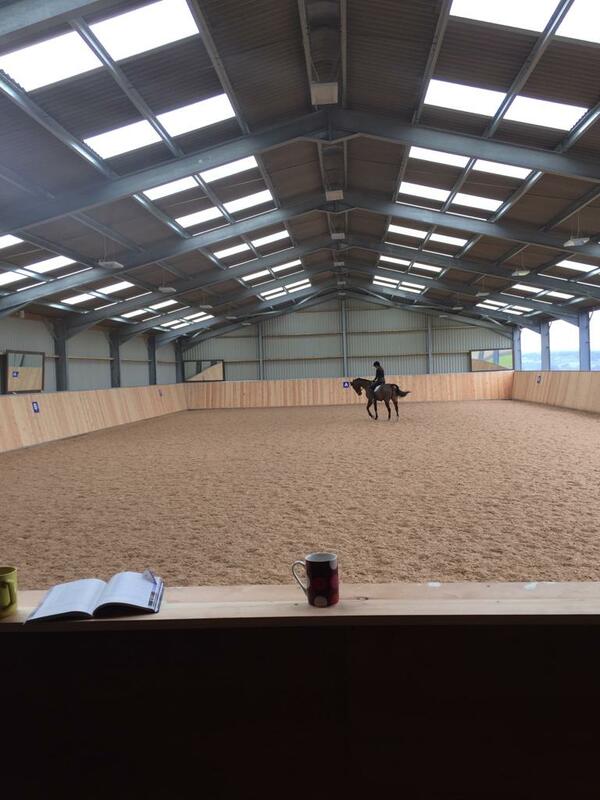 Therefore when our target has been reached we will be building an arena large enough for disabled riders to practice for dressage competitions, show jumping and carry out disabled carriage driving for wheelchair users in an adapted carriage. The covered arena will be purpose built with disabled access and disabled toilet facilities. The initial cost will be £140,000, some of which has been promised from local trust funds and Sport England. 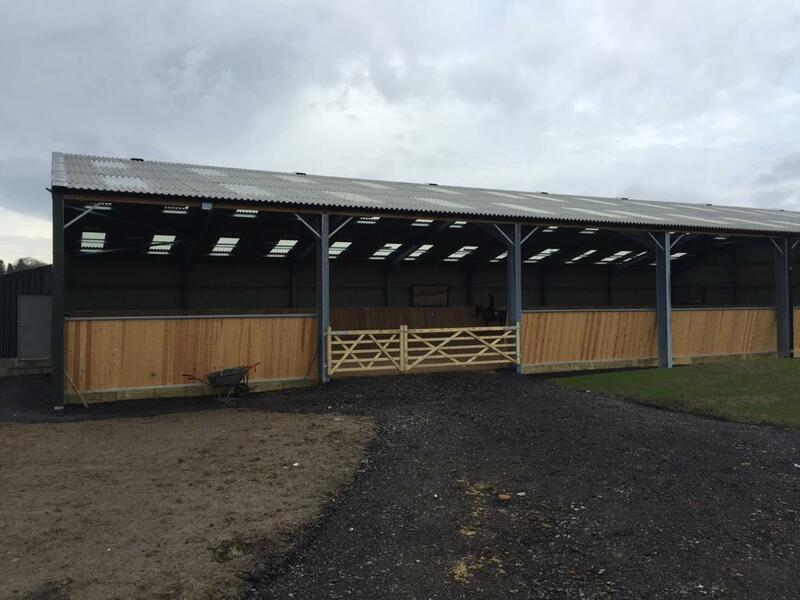 It is planned to be eco-friendly with solar panels to generate electricity which would enable us to run evening lessons and reducing our ever increasing waiting list of disabled people wanting to ride. With improved warmer and drier facilities we can retain volunteers which will improve continuity for the riders, many of whom have autism and need familiarity. Volunteers say how much their lives have expanded being part of this worthwhile cause. Volunteering has enabled people to gain experience working with disabled people, increased their skills and confidence which has helped them secure full time employment and encouraged some to take up further education. A covered arena will improve and increase volunteers' experience. This project is exciting because it will make a difference to so many people's lives in the High Peak for many years to come. You will be sponsoring a wooden plank for the inside of the arena and will receive a thank you card and your name will be branded on the plank as a thank you for your support. You will receive a thank you card drawn by one of our riders, and the knowledge that your pledge will pay for 10 bolts to secure the roof. The world needs more planks....well we certainly do, for the walls. You will receive a thank you card with the number of your personal plank. "Give it a go" riding session. To see if horse riding is a sport for you Buxton Riding School have offered a session in the arena and a possibly a trek down the lane. Time to be arranged to suit both you and the Riding School.  Details will be given by email. Do you have a raincoat and wellies? 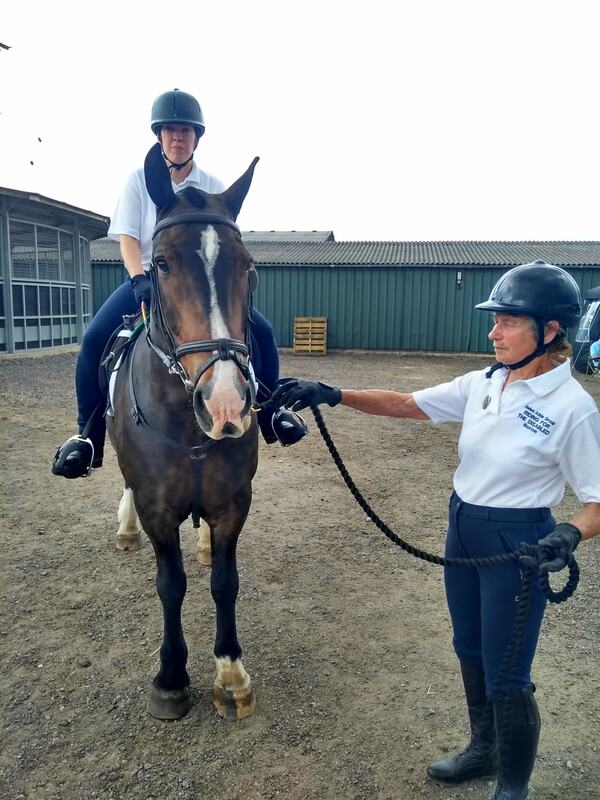 Then you are invited to join the Helen Atkin Riding for Disabled Team of volunteers and riders to see us in action. Join us for a coffee and biscuits afterwards. A date needs to be arranged to suit both you and the team because of Health and Safety and strict child safeguarding. Two tickets to see the hit musical Oliver! at Buxton Opera House on Thursday June 6th, worth £40. A cut and finish at a prestigious hair salon. You will receive a thank you card with our grateful thanks and the number of your personal square meter. You will know your sponsorship really makes a difference. You will receive a thank you card and a certificate to say your £100 has sponsored three square meter of the roof. Your pledge will be acknowledged on the Roll of Honour to be displayed in the building. You will be sent a personally thank you from the volunteers and riders. Your name will be added to the roll of supporters and displayed in the building. A personal invitation to join the dignitaries, trustees, volunteers and riders at the Opening Ceremony. A thank you card from the riders and volunteers.